Join TELUS, in partnership with NAIOP Calgary, for an exclusive discussion on the intersection of trends in technology, infrastructure, and the workplace of the future. Technology and connectivity are no longer nice to haves – they’re need to haves. With the ever-changing technology landscape, it’s critical for the development and real estate industry to become forward thinking visionaries to keep up with tenant demands. What are the upcoming trends in technology as it relates to commercial development? What are the implications for developers and tenants? How can technology help leasing agents and brokers seal a deal? How can landlords ensure secure and sustainable access at their properties? Come learn from our experts, who will discuss these issues and the incredible opportunities on the horizon. 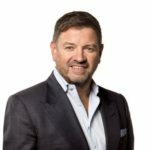 As TELUS’ Chief Customer Officer, Tony Geheran leads Customer Service Excellence (CSE), an organization of more than 12,500 team members dedicated to creating a friendlier future by enriching Canadians’ lives through the power of technology and elevating the customer service experience. CSE team members look after all aspects of the customer service journey for Mobility and Home Solutions as well as the deployment of TELUS’ PureFibre network and digital strategy. The CSE team’s scope of responsibility includes contact centres, installation and assurance of home services, digital solutions, wireline network operations, and much more. Tony joined TELUS in 2001, most recently serving as Executive Vice-President and President of Broadband Networks, where he and his team developed the TELUS PureFibre program from the ground up, bringing gigabit-enabled and symmetrical Internet connectivity directly to homes and businesses in more than 100 communities across Alberta, B.C. and Quebec. This world-class network provides customers with unprecedented speed and reliability, helping drive innovation in the delivery of education, healthcare solutions and 5G technology while connecting more Canadians to the global digital economy. Suzanne supports high performance and highly engaged teams nationally and internationally that support customers for small business solutions, including face-to-face, inside sales, outbound and retention. Suzanne also leads marketing functions including small business products, pricing, customer marketing and business intelligence. With her results-driven and inclusive leadership style, Suzanne has a passion for seeing her teams succeed and seek out new opportunities for development. 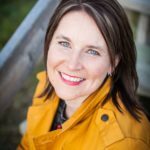 She is invested in TELUS recognition programs to develop talent that spreads throughout the organization. 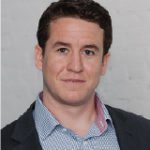 John Meko is the Director of Engineering for North America at WiredScore, the first certification platform for rating internet connectivity in Commercial Office Buildings. WiredScore evaluates and recognizes the best internet-connected commercial buildings, and shares this data publicly so that businesses can compare buildings and make smarter leasing decisions. John has assessed the connectivity and infrastructure of over 1000 commercial office buildings, helping building owners to provide best in class connectivity to tenants. He also leads a team of field engineers that perform assessments across North America. 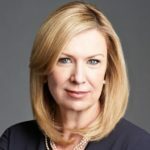 Jenn has spent nearly 20 years with TELUS and is currently leading the Broadband Implementation: New Growth Markets portfolio, responsible for ensuring that we build our PureFibre network to all new developments across residential & commercial in AB and BC. She has a passion for technology and automation to improve effectiveness of our processes and has recently implemented new tools including Jira, Domo, and RPA to drive efficiency. John Fisher specializes in Tenant Representation, Lease Negotiations, Long Term Strategic Planning and National/International Real Estate Strategies for his clients. Since 2005, John has been the Occupier/Tenant Rep lead on the Calgary Office Leasing Team. Over this time, the Team has been responsible for over 1,000 lease transactions totaling over 5.0 Million square feet in leased space in the City of Calgary and across Canada and the US. In addition to leasing, John is active in transacting land purchases, owner/user buildings and investment properties and has sold over $250 Million in properties over the last ten years. John is actively involved in the Calgary commercial real estate community. He is a Sessional Instructor in Real Estate Analysis and Investment in the Haskayne School of Business MBA Program (University of Calgary), an Instructor at the Real Estate Development Institute (REDI) and has been a frequent moderator, panelist and public speaker at a variety of events. Rob Blackwell joined Aspen Properties in October 2004 as Leasing Manager of the Calgary office portfolio. Since starting with Aspen, he has been promoted multiple times and is now the Chief Operating Officer as of December 2018. Rob is responsible for the daily operations of the company working with the leads of the leasing and property management of the Aspen portfolio. He is responsible for identifying and executing upon acquisition opportunities for the company, most recently leading the acquisition of Sun Life Plaza, a 1.05M SF ‘A” Class complex in downtown Calgary. 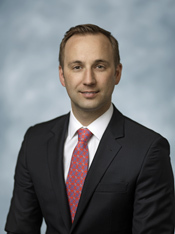 In addition, he oversees the long term asset management strategy for Aspen including managing mortgage financing, value creation initiatives and capital spending strategies. Together with investment partners, Aspen owns and manages approximately $1.2 billion in assets, comprising 3.8 million square feet of downtown office space and 3,000 parking stalls in the cities of Calgary and Edmonton.